A conservation lobby group is angered that the South Australian Government is pushing ahead with an underground coal gasification project earmarked for outback Leigh Creek, saying the process has proved hazardous. Conservation SA chief executive Craig Wilkins said it involved dirty technology and had led to groundwater contamination in Wyoming and Colorado, and a methane explosion in Spain. He said the world’s only current commercial site was in Uzbekistan. “There is no way this technology this should be allowed here in South Australia. There is a public consultation currently underway and this should be stopped immediately,” he said. But SA Energy Minister Tom Koutsantonis said the proposal was yet to win Government backing and was being considered by independent experts. “This project has not yet been approved and will not proceed unless approved,” he said. “I’d encourage everybody with a view in relation to the project to engage with the consultation process and make a submission. Nearly two years ago, the Queensland Government put a ban on underground coal gasification because it believed the environmental risks outweighed economic benefits. An Indigenous community in the Leigh Creek region said it feared areas with great cultural significance could be damaged. Adnyamathanha elder Enice Marsh said the community wrote to the State Government just before Christmas to express its opposition but had received no response. 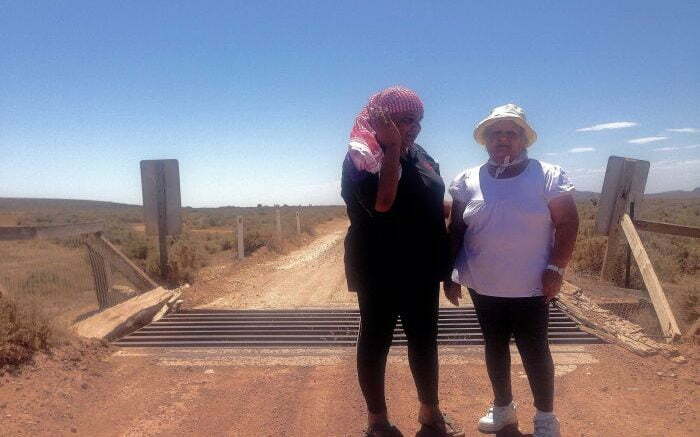 “We tried to write to them to ask for an independent survey on the land, to state the land of Leigh Creek and the coal fields are significant Aboriginal sites,” she said. “A lot of my people say it’s their home, they’re going to be faced with a huge, dangerous situation. A controversial gas technology is one step closer to going ahead in South Australia after the government signed off on public consultation for a trial. A gas technology blamed for polluting hundreds of square kilometres of Queensland farmland is one step closer to going ahead in South Australia. The state government has signed off on public consultation for a trial of Underground Coal Gasification (UCG) at the site of an old mine at Leigh Creek. In South Australia, the trial would involve a UCG demonstration operating at the site of a coal deposit at Leigh Creek for two to three months to confirm the performance of the process. UCG was banned in Queensland after flammable levels of hydrogen were detected in soil near the Linc Energy plant at Hopeland. An excavation caution zone of more than 300 square kilometres was enforced. Wilderness Society SA director Peter Owen said the South Australian government should opt for a renewable alternative. “After Queensland has made it illegal in that state, how can minister (Tom) Koutsantonis think that it is appropriate in South Australia?” he said. As minister for mineral resources, Mr Koutsantonis, will accept comments from the public on the project’s environmental impact report and draft statement of environmental objectives. But the minister said the approval of the UCG trial was ultimately out of his hands. “The approval or otherwise of coal gasification projects should be based on science and determined by expert regulators, not politicians,” he said. “We have a very effective regulatory framework in South Australia and the merits of future projects will be assessed against that framework, not the decision in Queensland.